Millions of working Americans find it’s a challenge just to pay for their house, car, insurance, child care and other expenses each month. So how can people even think about setting aside money for their retirement 20, 30 or even 40 years away? We can’t predict the future, but we can help you learn from the past. Here’s a list of common mistakes and miscalculations on the road to financial security — wrong turns we want you to avoid. Saving too little. How much of your money should go to retirement savings? When in doubt, perhaps the simplest approach is to try to put 10 to 20 percent of your income each year into money toward your retirement. Regular, automatic savings programs also help make it “painless” to set money aside. Starting too late. The sooner you begin saving, even with relatively small amounts contributed year after year, the faster you can develop a solid retirement fund. Through the magic of compound interest, a little bit of money saved over a long period can grow to be a lot of money. Not diversifying enough. Putting all your (nest) eggs in one basket can be a problem if the approach you take doesn’t perform well or actually loses money. Consider a mix of savings and investments that might perform reasonably well under any economic or market conditions. Not doing your homework. A wrong move can cost you thousands of dollars in taxes, fees, penalties or bad investments. Learn as much as you can about planning and saving for retirement. Falling for retirement rip-offs. If you get a call, letter or visit from someone peddling financial products with features that seem too good to be true, trust your instincts. If you think you’ve been approached by a con artist or you’ve been victimized by someone offering a financial product or service, report it to the Federal Trade Commission (visit ftc.gov/complaint or call toll-free 1-877-FTC-HELP). If the scam is internet-related, send an email to the federal government’s Internet Crime Complaint Center. Ask students if anyone has started to save for retirement. What was their motivation to start early? Ask students to prepare and share a list of resources that can be used to learn more about retirement planning and investing for retirement. Why is it important to start early and save for retirement even when you are in your 20’s? What should you do if a financial product and its features seem too good to be true? How even a little bit of money saved over a long period of time can grow to be a lot of money at retirement? Deciding when to start receiving your retirement benefits from Social Security is a decision that only you can make, and you should make that decision with as much information as possible. There are a lot of important questions to answer. Should you claim benefits earlier and get a smaller monthly payment for more years? Or should you wait and get bigger monthly amount over a shorter period? What will my monthly Social Security retirement benefit be? Will I have other income to supplement my Social Security benefits? How long do I expect my retirement to last? Ask students to survey retired individuals or people close to retirement to obtain information on the main sources of retirement income. Ask students to survey local businesses to determine the types of retirement plans available to employees. What types of retirement income should be the main emphasis of a retirement program? What actions might be appropriate by government and individuals to guarantee the continuing financial stability of the Social Security program? The Personal Financial Satisfaction Index (PFSi), reported by the AICPA (American Institute of Certified Public Accountants) is at an all-time high. This quarterly economic indicator measures the financial situation of average Americans. PFSI is the difference between (1) the Personal Financial Pleasure Index, measuring the growth of assets and opportunities, and (2) the Personal Financial Pain Index, which is based on lost assets and opportunities. The most recent report had a Pleasure Index 68.1 in contrast to a Pain Index of 42.1, resulting in a positive reading of 25.9, the highest since 1994. While the stock market is high, unemployment is declining, and inflation is low, remember the economy is cyclical. Be sure to consider and plan for your long-term goals. Stay aware and position your financial plan appropriately to safeguard finances when the economy is in a downturn. Also, analyze your cash flow to an attempt to increase savings, including an appropriate emergency fund. For additional information on financial satisfaction, click here. Have students create an action plan for situations that might be encountered in times of economic difficulty. Have students create a team presentation with suggestions to take when faced with economic difficulties. What are examples of opportunities that create increased personal financial satisfaction? Describe actions a person might take when faced with economic difficulties. Changes are coming to your Medicare card. By April 2019, your card will be replaced with one that no longer shows your Social Security number. Instead, your card will have a new Medicare Beneficiary Identifier (MBI) that will be used for billing and for checking your eligibility and claim status. Having your Social Security number removed from your Medicare card helps fight medical identity theft and protects your medical and financial information. Someone calling, claiming to be from Medicare, and asking for your Social Security number or bank information. Someone asking you to pay for your new card. Someone threatening to cancel your benefits if you don’t provide information or money? For more on the new changes to your Medicare card, visit Centers for Medicare & Medicaid Services. And report scams to the FTC. How do you think this change will affect patients? You? Replacing Social Security number with Health Insurance Claim Number will cost millions of taxpayers dollars. Do you think it is worth the expense? What is the biggest reason the Social Security is taking the Social Security Number off of Medicare cards? How will the new system affect people with Medicare? Who will be the affected stakeholders? In December 2016, Social Security launched a new service for my Social Security account holders where they can check on the status of an application for benefits or an appeal filed with Social Security. The service provides detailed information about retirement, disability, survivors, Medicare, and Supplemental Security Income claims and appeals filed either online at socialsecuarity.gov or with a Social Security employee. If you are unable to open a my Social Security account you can still call 1-800-772-1213 to check your claim status by using the automated system using the confirmation number you received when you filed your claim. Stress the importance of learning about my Social Security and other services provided by the Social Security Administration. Encourage students to visit the Social Security website and open a my Social Security account. What might be some advantages of opening my Social Security account? What might be some drawbacks to open my Social Security account? Can hackers get into your my Social Security account? Your earnings may increase or decrease in the future. After you start receiving benefits, they will be adjusted for cost-of-living increases. Your estimated benefits are based on current law. The law governing benefit may change because, by 2034, the payroll taxes collected will be enough to pay only about 79 cents for each dollar of scheduled benefits. Your benefit amount may be affected by military service, railroad employment or pensions earned through work on which you did not pay Social Security tax. Ask students to gather the information they will need to calculate their retirement benefit. Help students understand that their social security benefits will be reduced if they retire before their retirement age. Is it better if you wait until your retirement age to collect social security benefits? What might be the consequences if you decide to work after you retire? Ask why money is important to you. Guess where you want to go. Think of budgeting as a tool for awareness. Save as much as you reasonably can. Buy just enough insurance today. Remember that paying off debt can be a great investment. Hire a real financial advisor. Behave for a really long time. Illustrate how each tip provided in this article could affect an individual’s financial plan. Encourage students to read the entire article to help determine what’s really important in their life. It’s often hard (or maybe close to impossible) to determine what you value and where you want to go in the next 20 to 30 years with perfect accuracy. Still, experts recommend that you establish a long-term financial plan. What steps can you take to make sure your plan will meet your future needs? Why is it important to evaluate your plan on a regular basis and make changes if necessary? Before beginning a search for a financial advisor, have a conversation with your loved ones to determine what is important, what you value, and what you want to accomplish. To develop a list of potential advisors, talk to friends and relatives and visit websites like http://www.napfa.org. Narrow your list to the top three contenders then do your homework. Visit company websites and read each advisors biographical sketch, check information available on the SEC website (www.sec.gov), and develop a list of questions that you want to ask when you meet each advisor. Often the key to building a relationship with a financial advisor is communication. Review your relationship with a financial advisor over time. Don’t just look at investment results, but also determine if the advisor (and her or his firm) is helping you achieve your important goals. Remind students that it is better to start financial planning earlier rather than later in life. Stress that even beginning investors or investors with little money can still use a financial advisor. 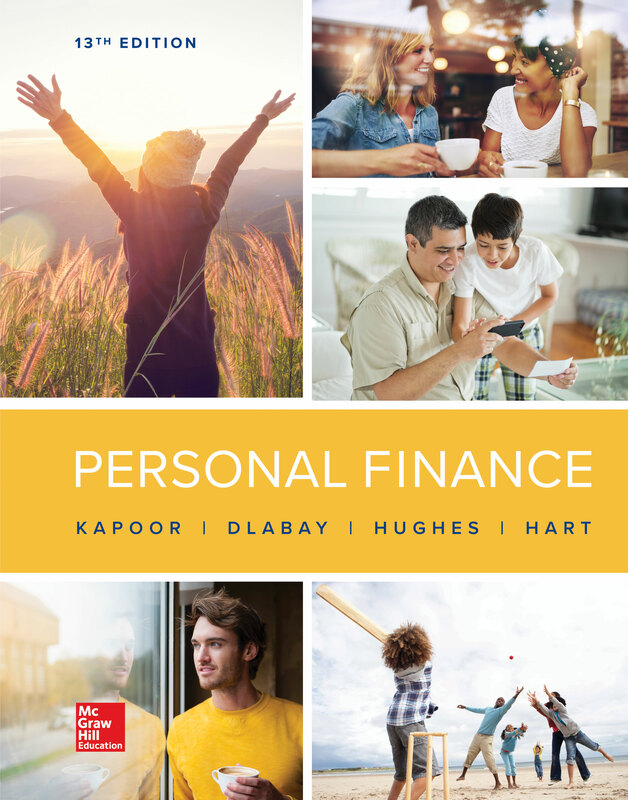 Encourage students to visit the National Association of Personal Financial Advisors website (www.napfa.org). There is a great deal of quality information available with a click of a mouse. Often, the first step when choosing a financial advisor begins before you actually meet a potential advisor. How can determining your goals and what you value help you start financial planning? While many investors think that financial advisors are only for the rich, beginning investing or investors with little money can benefit from professional help. What steps can you take to find the right financial advisor to help you obtain your goals? While Americans are living longer and healthier lives, they also are facing more financially fragile situations. Uncertainty related to financial health in the later years of life has become more common. Lower, less predictable incomes among those retiring within 10 years has resulted in difficulty paying their bills. This group also reports a lower net worth. In 2013, the typical 56- to 61-year-old had an average of $17,000 in retirement savings. This lower level of net worth is partially the result of higher levels of debt than the previous generation. This debt is in the form of higher mortgages and education loans, including amounts owed for their children’s education. Requiring and supporting strategies for to build effective financial capability, including coaching and workforce development programs. Tax policies and other incentives that encourage savings and investment among lower-income and lower-wealth families. Policies to increase educational opportunities without excessive debt. Efforts for protection from financial difficulties caused by medical catastrophe. Policies for improved housing stability of both owners and renters. For additional information on financial security and longevity, click here. Have students interview people to determine common actions used to save for retirement. Have students create a presentation to suggest action for improved financial security for various income levels. What are some financial pressures faced by households as people approach retirement age? What actions might government and business take to reduce the financial pressures of people approaching retirement age?